The Drakenstein Stud manager – the man behind the winners – works with trainers to get best out of horses. 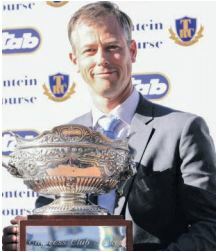 Drakenstein Stud’s racing manager Kevin Sommerville has become a regular and eloquent presence on race days countrywide. Sommerville, 39, is often seen on television, acting as spokesperson for Gaynor Rupert’s world-class operation. 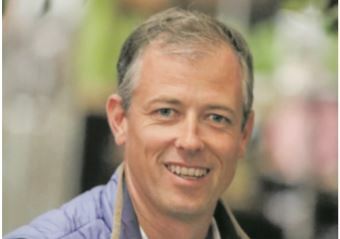 Although his aunt, Francis Outram, owned and ran Connington Stud near Mooi River, Pretoria-born Kevin wasn’t involved in the racing industry until after university, where he completed a BSc in zoology and genetics at the University of Pretoria. “After graduating I went to Ireland to visit a friend. I stayed for a while and while working, gradually became more and more fascinated with the racing game. “I then spent a year at Ballylinch Stud as a groom and completed the Irish national stud course the following year, after which I applied for the Darley flying start course offered by Godolphin. “I was lucky enough to get in and I would recommend the course to anybody young and passionate about the sport. “Then, I came home and worked for Robin Bruss at Northfields Stud for a year. I learnt a lot about the South African industry there. Robin is one of the most knowledgeable people in our sport, not just in South Africa but the world. “In 2007, I went to Keeneland as part of their sales team and a year later I joined Juddmonte as nominations manager, where I spent five brilliant years. Racegoers probably only have a vague idea of what a racing manager does, but Kevin is happy to fill in the blanks. “I am lucky because my role varies a lot, but it’s about managing the horses’ racing careers for Drakenstein, working with the trainers and placing [the horses] in the right races, mapping out a programme for each to get the best out of them, among other things. “If I can help to point out something about the horse’s breeding to the trainer – for example, what the dam was like or something about the sire – I am always on hand. I like to talk about each of them with the trainers. The ultimate aim is to get the best out of the horses for Drakenstein. Looking forward to Sun Met day today at Kenilworth, Kevin is hopeful of another big day after Oh Susanna took the main event and Snowdance the Klawervlei Majorca Stakes a year ago. This year their hand looks even stronger. Not only are the two big guns back to defend their titles, but there is plenty of back-up. Santa Clara is a threat against the males in the G-Bets Cape Derby, while Drakenstein are practically mob-handed in the Bidvest Majorca Stakes, with Fresnaye, Clouds Unfold, and Lady In Black joining Snowdance. “We have some very good fillies in training at present. That’s the advantage of having a knowledgeable patron who sees the benefit of racing our fillies and her continued investment in the higher echelons of bloodstock. “The stud has had a very good run, and are hopeful that will continue [today]. But this is a tough game and we are taking nothing for granted. Whatever happens today, the future of Drakenstein Stud seems rosy, with quality people like Kevin Sommerville guiding the way.